The bucolic Tolkien-esque influence seems to be very much alive even in our modern day – not only fueled by the success of the gloriously descriptive books, but also encouraged by their magnificent adaptations on the silver screen. And, when we talk about the exalted J.R.R. Tolkien, we must also raise our hats to the affable Hobbits and their homely holes or ‘smials’. 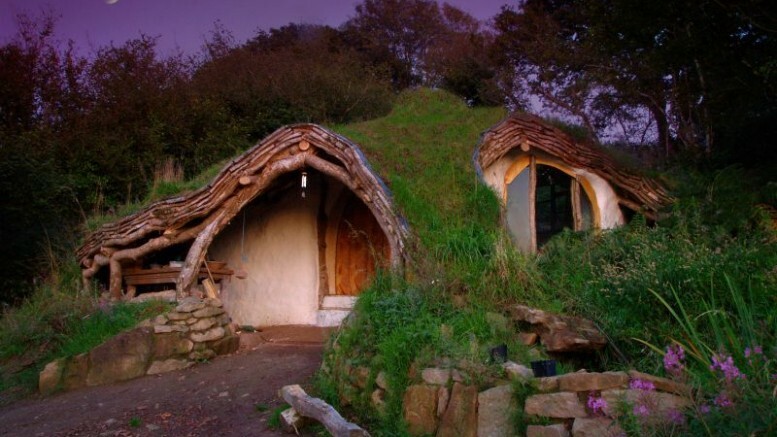 So, without further ado, let us take a gander at the ten real-life modern buildings that were seemingly inspired by the picturesque Hobbit Homes that we have come to identify from the greatest fantasy legendarium of the 20th century. A circular cut made into the rising green-turfed landscape, the Villa Vals from architects SeARCH & CMA is a residential building along the paradisiacal Alpine slopes. 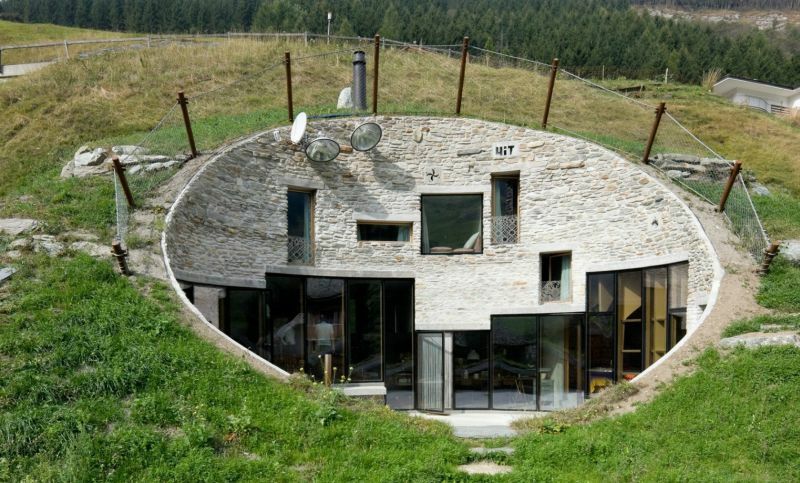 Situated pretty close to the renowned thermal baths of Vals in Switzerland, the ‘house’ was designed in such a way so as not to obstruct the scenic panorama of the surrounding. 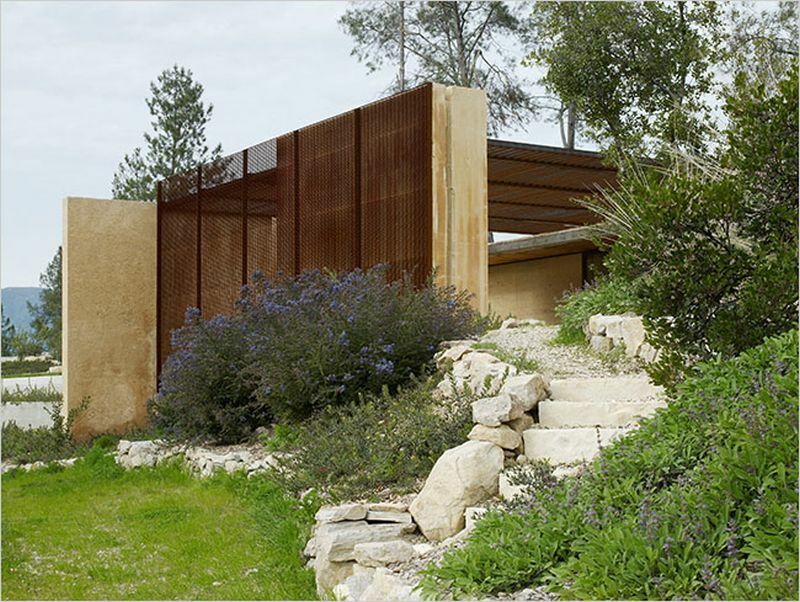 The architects made deft use of the different gradients that allowed a strategic view of the mountains in front of the structure. This ‘tableau’ was rather aided by the steepness of the central patio with its host of windows – all of which open to a singular direction. 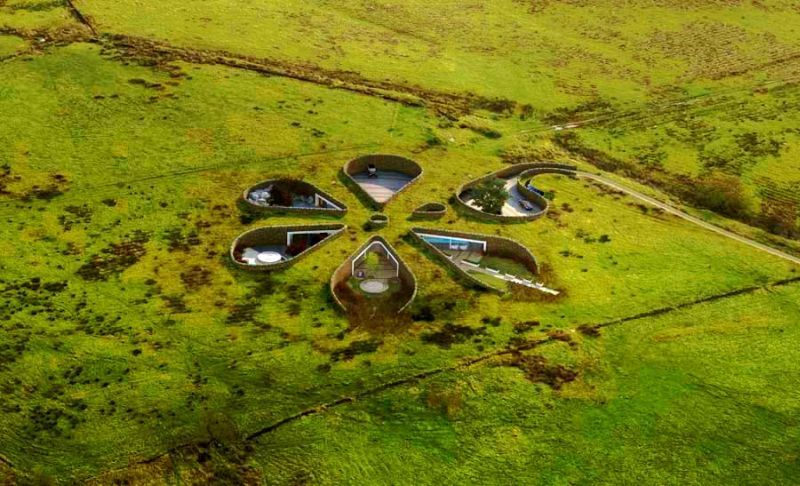 Often touted as the first zero carbon property on the North-Western part of England, this fascinating subterranean design is the brainchild of Make Architects. 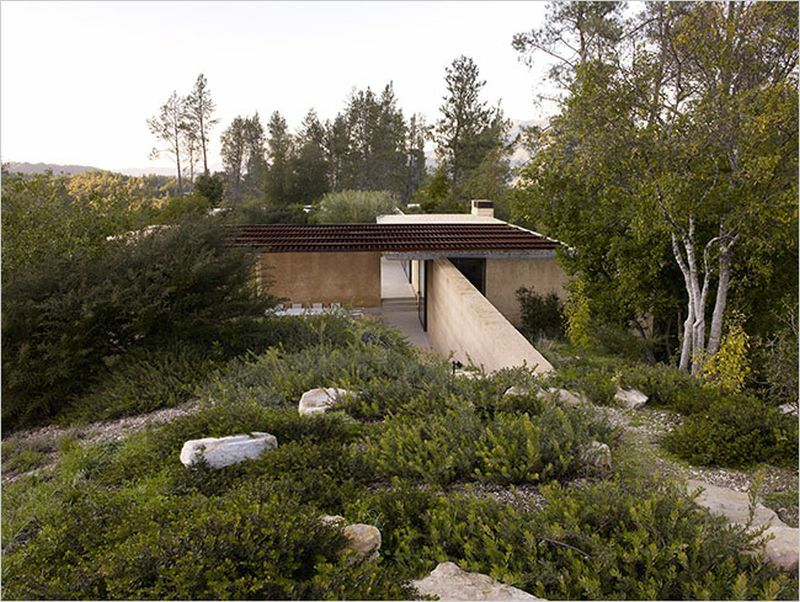 And in spite of its seemingly contemporary looks, the Eco House is an example of vernacular architecture – with the residence constructed from only locally available materials. This low-impact scope is further complemented by a myriad of green technological applications, including geothermal heat pump, a photvoltaic setup and a dedicated wind turbine system. 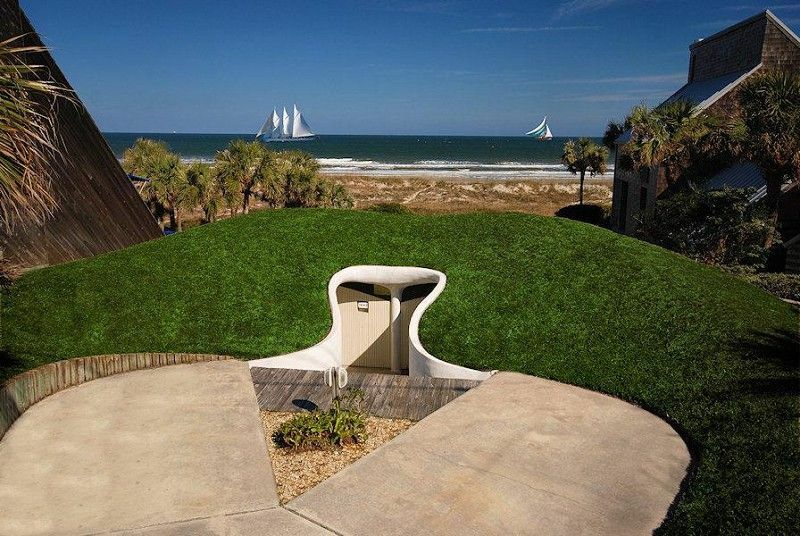 Built back in 1975 by architect William Morgan, the Dune House was designed as a 1,500 sq ft duplex with two combined habitats. The name itself comes from the positioning of the house in an existing sand dune so that it wouldn’t interfere with the architect’s own view of the nearby ocean from his adjacent resident. 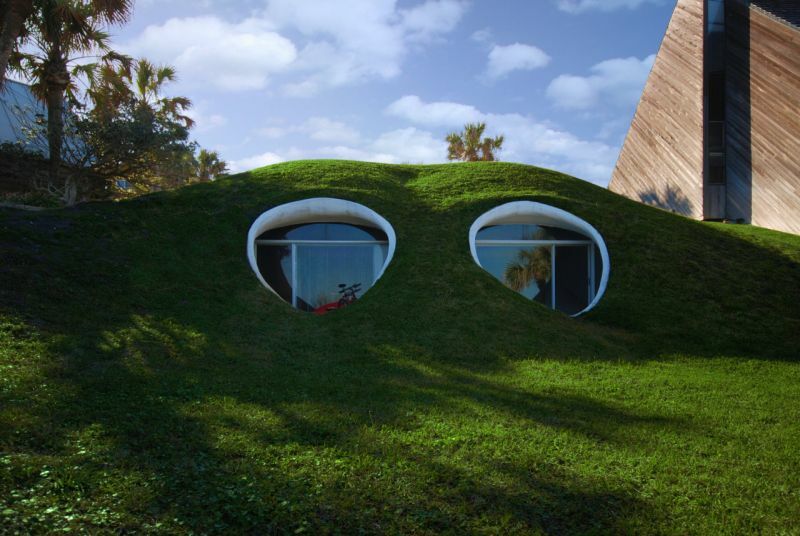 Of course, beyond just views, the sand layer also acts as a heavy insulation coat that keeps the interior temperatures of the dwelling within manageable limits, thus cutting costs pertaining to year-round air conditioning. Nestled up along the Diamond Mountains that overlook Napa Valley, this hill-top property sort of hints at the modernistic take of the Shire dwellings. The habit itself is divided into four single-leveled compartments all constructed from the sturdy composite of earth, concrete and steel. These seamless structures are strategically placed on a sheltered depression which opens out on three sides to the scenic pine-covered hills that ultimately make way for the famous vineyards of ‘cabernet sauvignon’. 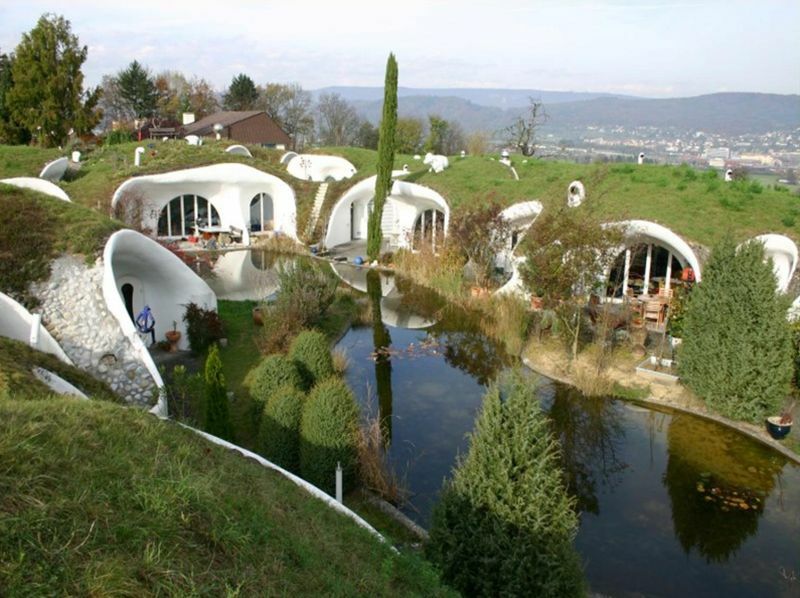 Epitomizing the novel notion of living ‘with’ the ground, the Earth Houses designed by Vetsch Architektur, boast of energy efficiency with their insulated blankets. 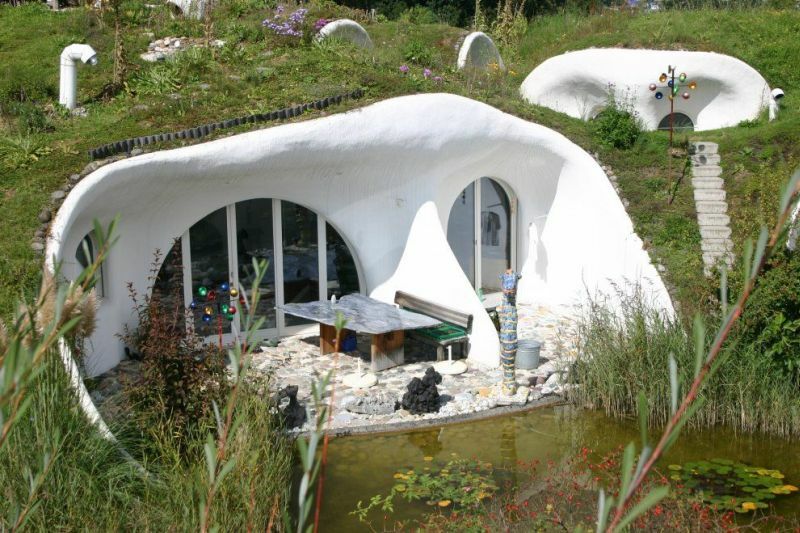 Their nature-made shelters are protected from not only rain and wind (by virtue of a root-resistant polymer bitumen layer), but also allow for an optimized internal micro-climate for its inhabitants all throughout the year. As for the estate’s spatial credentials, the settlement has a total of nine residences (inside each ‘hole’) that affably border a centrally located pond and wetland.